AgencyDocs offers proven templates and deliverables used by Barrel on real clients and employees over the past 11 years. The e-commerce website, built on Shopify, features documents that cover project management, design, web development, business development, and HR/Finance. 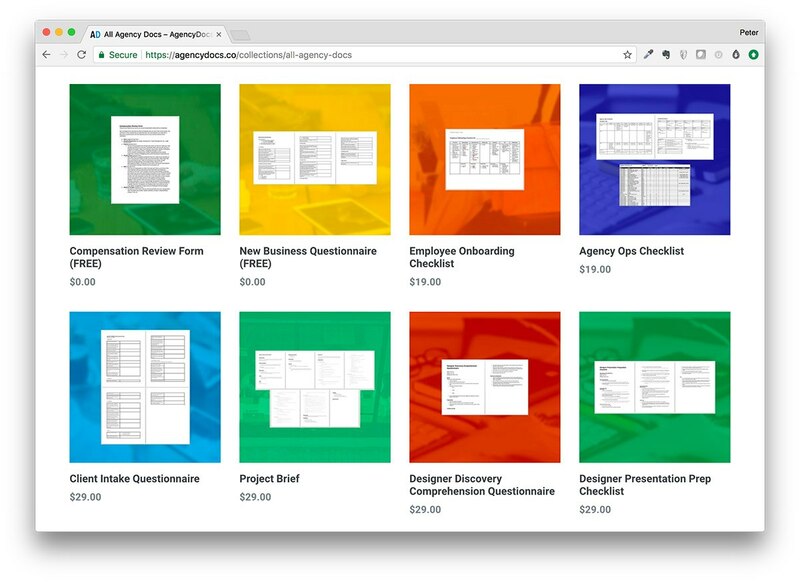 With several documents offered for free and others starting at just $19, AgencyDocs offers agency owners and freelancers a look at another agency’s documents and processes at a low cost. The free documents include the New Business Questionnaire and Compensation Review Form. Launching with over 10 documents, the Barrel team plan on releasing new documents each week and eventually building a collection of 30-40 documents.